Advertising slogans are an integral part of consumers’ everyday life across the world. When it comes to slogans, Coca-Cola takes the cake with some really great slogans though its 132 years of history. Since its inception in 1986, Coca-Cola has had a number of memorable slogans over its journey of 100 plus years. Depending on the generation you belong to, you may be familiar with few of them. Ever wondered how the 1st official slogan for Coca-Cola came into being? Well, Dr. John S. Pemberton, the founder of Coca-Cola, along with Frank Robinson – his partner and book keeper, ran the first newspaper ad for Coca-Cola in the Atlanta Journal, two weeks after it began selling. The ad described Coke as “delicious and refreshing” and these two words went on to become one of their longest running slogans, for almost 34 years! In the 1920s, Coke focussed more on appealing to thirsty consumers and this is well reflected in its slogans from those years that subtly called out to its consumers to quench their thirst through “Thirst Knows No Season,” “Enjoy Thirst” and “Refresh Yourself.” It was not until the 1970s that Coca-Cola evolved into a brand synonymous with fun, friends and good times. One of its catchiest slogans came forth in 1971 in the form of a song – “I’d like to buy the world a Coke”. The 1979 “Have a Coke and a Smile” slogan from the Coca-Cola commercial featuring a young fan giving Pittsburgh Steeler, “Mean Joe Greene”, a refreshing Coke, is fondly remembered by many. Not to miss the1980s when Coca-Cola gave the world memorable slogans such as “Coke is It!”, “Catch the Wave” and “Can’t Beat the Feeling”. In 2009, Coca-Cola coined its “Open Happiness” slogan based on the company’s core values of simplicity and humility. It was intended as an invitation for people around the world to pause, get refreshed with a Coke and enjoy the smaller pleasures of life. “Open Happiness” gave the world some truly heart-touching campaigns with the messaging present everywhere from Billboards, TV spots and print media t o social media. 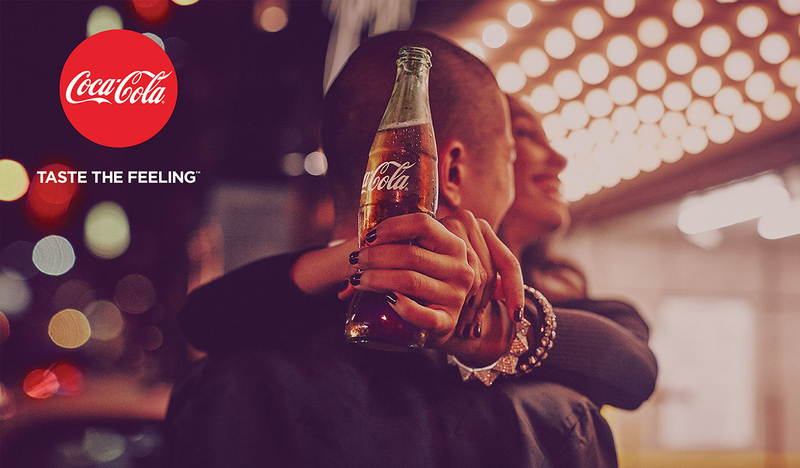 However, Coca-Cola being the ever evolving brand, transitioned from this celebrated tagline to “Taste the Feelings” in 2016, putting the product at the centre in an attempt to win over consumers in the currently struggling soda category. Needless to say, these are not the only slogans used by the company over the years. In fact, there have been hundreds and hundreds of Coke slogans formulated over the years, which may or may not have been used in their major marketing campaigns. Some may have been used over a very short period of time, on limited media channels and geographies. What stands out here is the journey of Coca-Cola’s branding efforts that has given the world, some of the greatest slogans of all times.